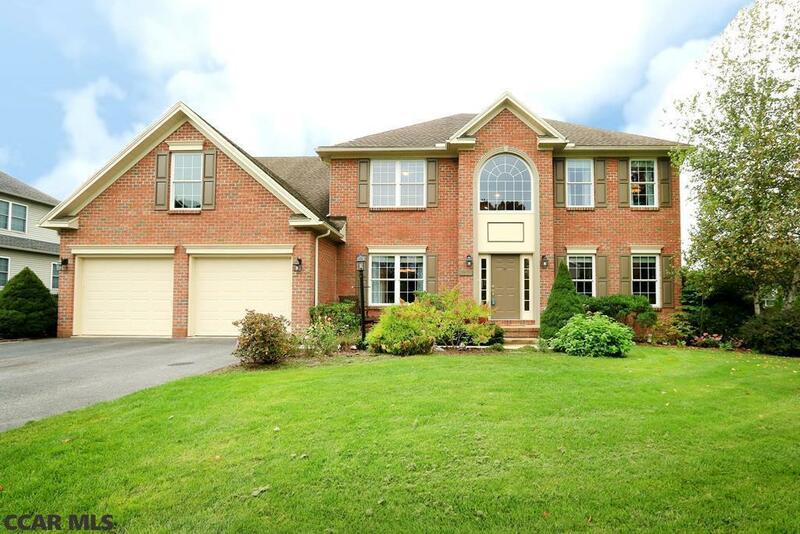 Experience the peacefulness of home at beautiful Barnstable Ln in desirable Saybrook. This wonderful 5 bed, 3.5 bath home has lovely character, hardwood floors throughout the main level, a fantastic open floor plan across the back of the home w/ walls of windows in the cathedral ceiling family room, & beautiful open double staircase from the two-story entry & kitchen. Enjoy the beauty & convenience of the spacious eat in kitchen w/ large island, spacious corian countertops, & a fabulous 6'x9' pantry. Airy & bright the main level is freshly painted and features a beautiful formal dining room perfect for holidays & cozy living room w/ charming gas fireplace. Enjoy the tranquil master suite with room for a seating area all to yourself, walk in closets, and a stylish master bath w/ jetted tub, tile floors, & double vanity. The finished lower level has two spacious rooms for game day fun & an additional bedroom and bath perfect for guests! Directions: From Sleepy Hollow Drive, Turn Left Onto N. Foxpointe, Left Onto Sagamore, Right Onto Barnstable, Home Is On The Right. Included: Kitchen Appliances, Tread Mill And Stepper In Lower Level, Fire Pit, Washer/Dryer. Credit For Hardwood Floor Refinishing.